VANCOUVER, CANADA — Kaizen Discovery Inc. (TSXV: KZD) announced today that it has entered into a strategic financing agreement with ITOCHU Corporation of Japan to advance Kaizen's exploration efforts at its Pinaya Copper-Gold Project in southeastern Peru. Under the terms of the agreement, ITOCHU will provide Kaizen with up to C$2.5 million in initial exploration funding for Pinaya, in exchange for an indirect 20% stake in the project. The financing agreement calls for ITOCHU to pay the C$2.5 million to Kaizen in three payments. The first payment of C$625,000 is to be made upon closing of the transaction, which is expected in early April 2016. This payment will give ITOCHU an initial 5% interest in Kaizen's subsidiary, Kaizen Peru Holdings Ltd., the indirect holder of the Pinaya Project. Kaizen will retain the remaining 95%. ITOCHU's second payment of C$625,000, for another 5% interest in Kaizen Peru Holdings, is conditional on Kaizen obtaining local community approvals for the lease and surface rights for the Pinaya Project and obtaining all necessary approvals to establish and operate the exploration camp, within two years of the initial payment. Kaizen recently signed surface-rights agreements with local landholders, securing access to key, geologically prospective parts of the project area. The third payment of ITOCHU's investment is conditional on Kaizen obtaining the necessary environmental permits, water and electricity rights required to conduct exploration drilling on the Pinaya Project within two years of the initial payment. Subject to fulfillment of this condition, ITOCHU will pay Kaizen C$1.25 million to bring its aggregate interest in Kaizen Peru Holdings to 20%. Kaizen has agreed to match ITOCHU's exploration funding, which will bring total funding to C$5 million for the company's planned first phase of exploration at Pinaya. Kaizen expects that the C$5.0 million will cover approximately two years of exploration work at the project. "This strategic investment by ITOCHU represents a significant milestone in the progress of Kaizen's exploration efforts in Peru's emerging Andahuaylas-Yauri Porphyry Belt. It also represents a strong endorsement of the quality and potential of the Pinaya Project," said Peter Meredith, Chairman of Kaizen Discovery. "We now have a sizeable exploration budget to conduct an aggressive, comprehensive exploration program at Pinaya to test the project's potential to host large-scale, copper-gold porphyry and skarn systems, building on the existing resources." 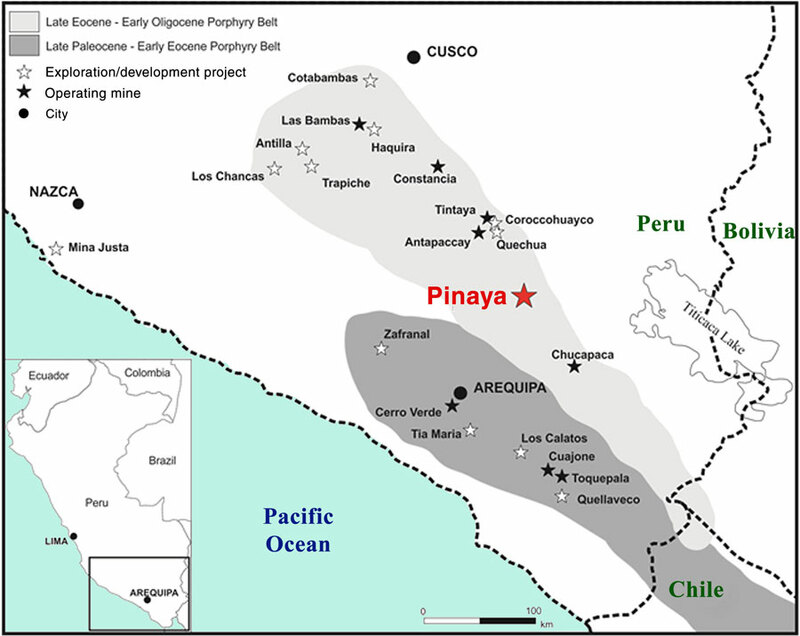 Kaizen acquired 100% of the Pinaya Project from AM Gold in October 2015 (details of the Pinaya acquisition and the project's current Mineral Resources are available in Kaizen's October 26, 2015, news release). The project covers 192 square kilometres and includes more than 25 kilometres of strike length within the Andahuaylas-Yauri Porphyry Belt in Peru's provinces of Caylloma and Lampa. This belt hosts numerous productive and world-class porphyry and skarn systems, including Las Bambas, Tintaya, Constancia and Haquira. The initial C$1.25 million of Kaizen's C$2.5 million funding is due on or before the earlier of (i) one year after the date of ITOCHU's initial investment; or (ii) completion of ITOCHU's third-tranche payment. Kaizen's second C$1.25 million is due two years after the date of completion of ITOCHU's initial investment. Following Kaizen's C$2.5 million funding, both Kaizen and ITOCHU become subject to customary cash call obligations and dilution should a party not fund its then pro rata amount of any future funding. ITOCHU also will obtain rights with respect to approvals of annual exploration and development plans for the Pinaya Project, budgets and capital expenditures, but only after such time as ITOCHU has obtained 10% share ownership following its second-tranche investment. ITOCHU also has the right to withdraw from the Pinaya Project after two years, and the right to put its shares in Kaizen Peru Holdings back to Kaizen at any time for a payment that may include a pro rata portion of any unspent funds. Conversely, Kaizen has the right to bring in a third-party investor provided that investment does not exceed 20% of the issued and outstanding shares of Kaizen Peru Holdings and the proceeds are for no less than C$2.5 million. Forward-looking statements include, without limitation, statements regarding the completion of all three tranches of the investment by ITOCHU, the potential for a further third-party investor, the future growth and long-term strategy of Kaizen, statements regarding Kaizen's plan to begin a comprehensive exploration program to test Pinaya's potential to host a large-scale, copper-gold porphyry system and other statements that are not facts. Forward-looking statements are based on a number of assumptions and estimates that, while considered reasonable by management based on the business and markets in which Kaizen operates, are inherently subject to significant operational, economic and competitive uncertainties and contingencies.